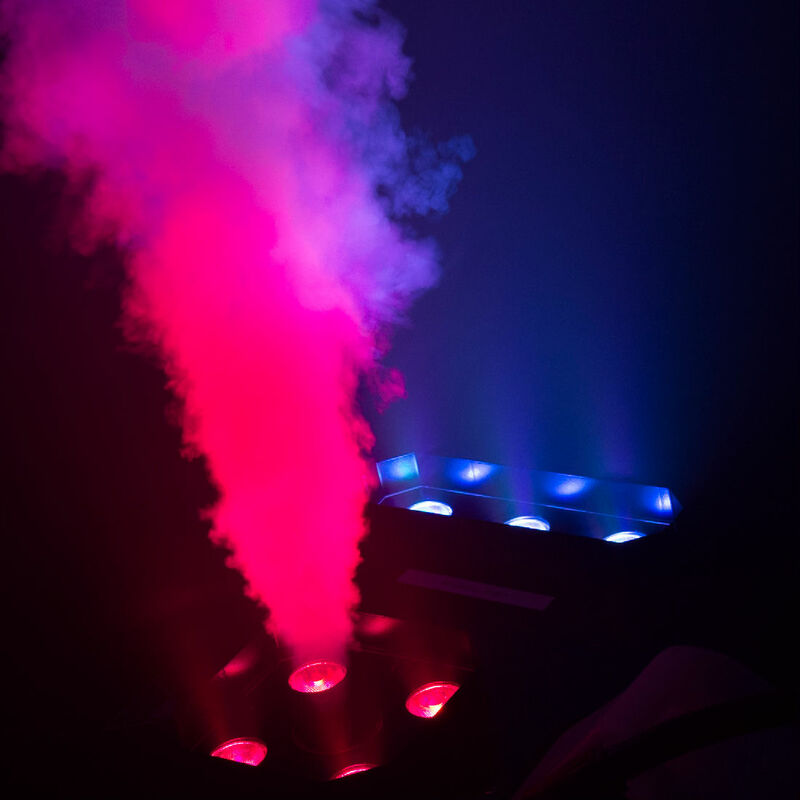 This product has been included in the “Equipment Based Guidelines For the Use of Theatrical Smoke and Haze” that has been prepared with the support of Equity-League Pension and Health Trust Funds, ESTA, et al. MEET THE LITTLE BROTHER OF OUR POWERHOUSE VIPER NT! 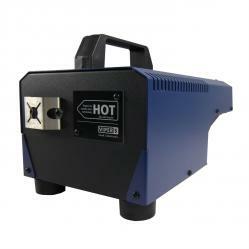 The Viper S is a professional, powerful, German-made fog machine that is characterized by its low power and fluid consumption but extremely powerful output. Thus, the operating costs for the Viper S are low due to it being energy-saving, but without cutting back the output. The Viper S is truly unbelievable in its operational features and performance! Equipped with all features and the usual reliability of the whole Viper range, the Viper S is an inexpensive alternative to bigger machines. The Viper S is made for smaller stages and Clubs. 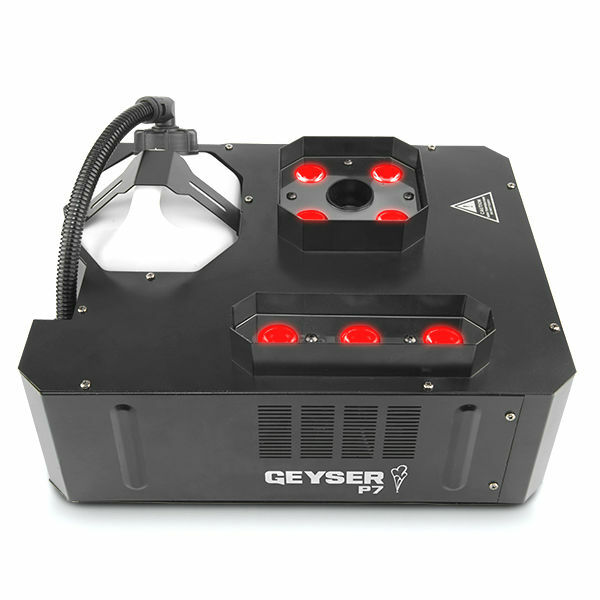 Due to its compact design and the light weight, the machine is excellent for mobile applications. Finest adjustments of the output - Digital technology enables fine adjustments of the pump. In steps of 1% the output can be adjusted from 0 - 99%. Thus, any desired effect - from a tiny fog cloud to the thickest continuous fog - can be produced. This allows an individual adaptation to the dimensions of the room. DMX 512 compatible - The Viper S can be controlled via 5-pin DMX cable and controller. The DMX start address can be adjusted and saved via the on-board control panel. The machines DMX address remains stored when the machine is unplugged. The Viper S can also be controlled with an optional analog remote (below item listing FG32AR) that utilizes a standard 3-pin XLR cable. Stand-Alone-Mode is very commonly used. The adjustment of the pump (amount of fog output) is done directly at the Viper S on-board controls. Pressing the start button once, the machine starts running with the pre-adjusted pump level, with the output volume being able to be changed while fogging. This allows the ability to tailor the look you desire while running the effect. Internal timer - With the internal timer, the fogging time can be adjusted in seconds, the wait time in minutes and the amount of fog output in a percentage range of 1% - 99%. Once the timer is activated, the program will run until the timer is deactivated. Theatre Effects Water-Based Fog Fluids that can be used in the Viper S include our Premium Fog, Quick Dissipating Fog & Low-Lying Fog (slow fog). An optional ducting adapter that has a diameter measurement of 2-1/2" is also available for purchase in the drop-down menu below. When making your purchase, be sure to choose the proper unit voltage from the drop-down list to match your country’s electric standard. The optional ducting adapter is also available in this menu. Simply add one product into your cart and then again add the ducting adapter if needed.